Illinois, lives and works in New York. medium, and dark. All signed and numbered. Since the late 1970s, Christopher Wool (born 1955 in Chicago, lives and works in New York) has readdressed and expanded the process of painting. He developed reduced pictorial forms with a radical orientation towards flatness and an aloof, ornamental, all-over style, almost always working in black and white. After his characteristic word pictures and his painting with floral patterns in the 1980s and 1990s, Wool recently has worked in a free, gestural and complexly layered painting style showing an open process of placement and cancellation. He erases parts of his painting, and then overwrites it in a loose graffiti-like gesture. In his working processes, he uses silkscreen to duplicate paintings and subsequently works the reproductions further ("painted silkscreens"). 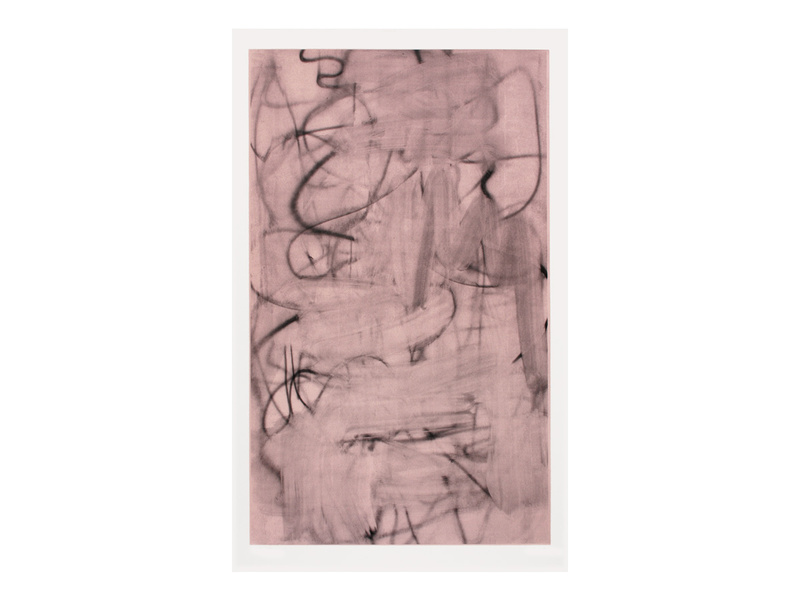 The prints made for the Door Cycle reflect Wool´s continuous intermediate use of silkscreen and at the same time they are an homage to de Kooning´s painting style and coloring of his 1964-66 Women paintings.